It is the day of the school photo with everybody getting spruced up for the occasion. Things start to go wrong for Sidney when the photographer fails to turn up and he is confronted by the gang of school bullies. In an attempt to get away from them Sidney runs away and escapes into a lift. However one of the bullies, Jake, manages to get into the lift just as the doors slam shut. The lift goes up. When the lift stops the doors open revealing a fantasy world of music to the travellers. When they leave the lift Sidney and Jake are confronted by a raucous cacophony of sound. The Spirit of the Land of Music enters with her sprites. Bemused and scared our travellers are calmed by the Spirit who will take them on a journey to help them understand anger, fear and loneliness – a therapeutic journey with music as the great healer. After their magical musical journey our travellers reappear at school at the instant that they had left. It is as though they had never been away - but they are transformed. The school photo session resumes and the show culminates with the song I Know Me, I NOW Know Me. 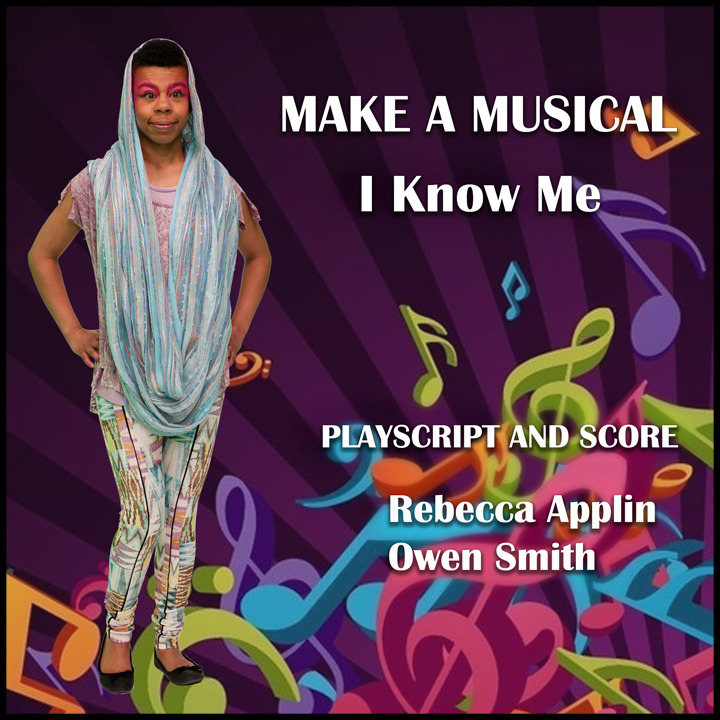 I Know Me has been developed, written and produced to provide SEN teachers with the template for an accessible, inclusive, mixed-genre musical. The production has the ingredients of mainstream musical theatre while at the same time being manageable for pupils with special educational needs. I Know Me was created with the expectation that schools would produce their own version of the musical. The ambition is for schools to create and stage their own production designed and dramatised to reflect their vision of the story, and adapted to suit the particularities of their own contexts. Using the basic story line, characters and songs teachers can adapt the production to suit their particular cohort of pupils, their performance skills, and their access to resources (particularly in relation to costumes and sets). The production original broadcast by BBC Learning merely represents one particular version of the musical. Written by Rebecca Applin and designed with Owen Smith for young people with learning disabilities, you will find the underlying themes of bullying and issues of anger, fear and loneliness will resonate well with adolescent participants. But its not a misery musical - there's lots of fun to be had! The text also includes links to videos of the original musical, workshop videos and downloadable backing tracks. A quick look inside the book!